Inspired by the unique beauty and the aura of strength surrounding every woman, the Nadira solitaire encapsulates the grace and wonder that intoxicating love beholds. Lovingly individually hand crafted by our master craftsmen, set in platinum, rose gold or yellow gold. Available from 0.50ct and above. Please contact one of our boutiques to discuss having a bespoke engagement ring and wedding ring made in your choice of gems and precious metals. 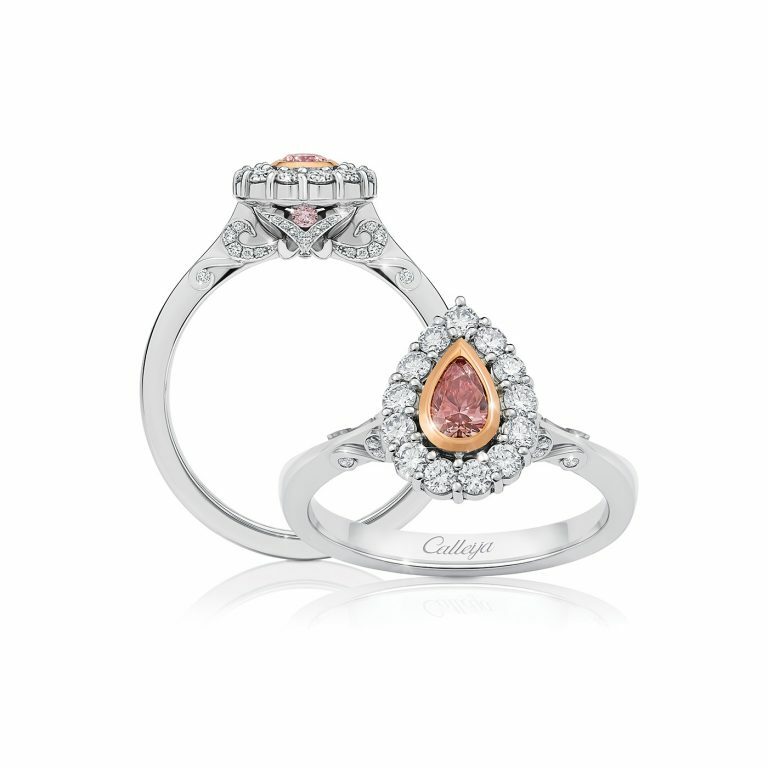 Seen here with our Platinum Fitted Pink & White Diamond Set Wedder Reference:R2667.